In today’s competitive marketplace, customer loyalty is crucial to business growth. It’s much harder to find a new customer than it is to retain an existing customer. Restaurants, retailers, grocery stores, salons, fitness centers and more depend on loyal customers and repeat visits. In addition, regular customers often spend more per visit and are more inclined to sign up for upgraded services. If you don’t provide an incentive for customers to return to your business, they can easily turn to a competitor after even the slightest inconvenience. 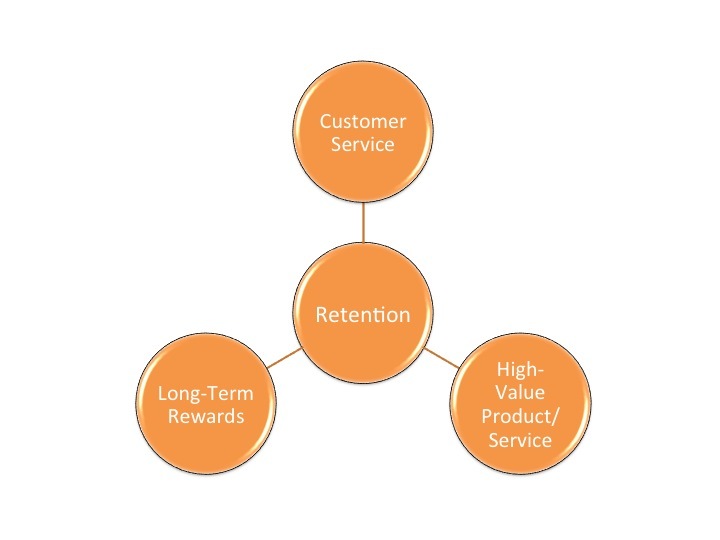 Businesses can increase their customer retention in several ways as shown in the infographic below. In this article, we’ll cover 20 popular loyalty programs that are worth considering. Because pricing and features change over time, check each program’s website for the latest details. 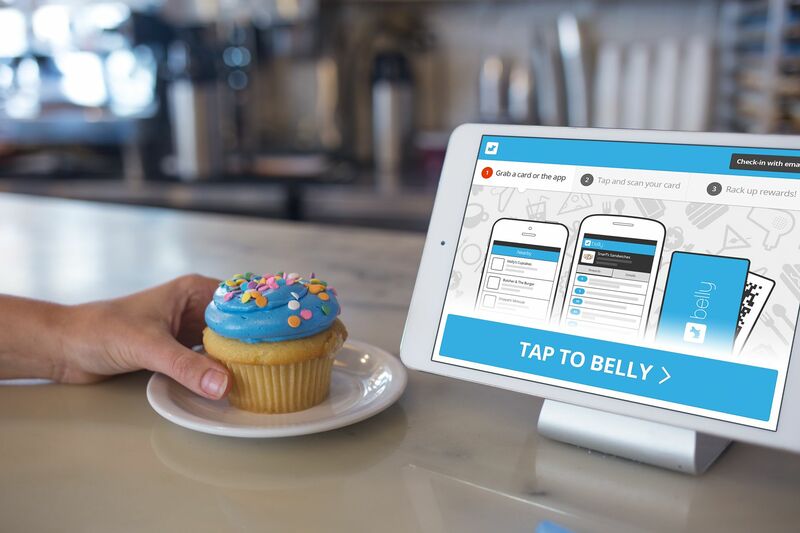 Belly – As one of the largest loyalty apps on the market, Belly offers customized rewards, email campaigns, social exposure and integration. Belly offers three different plans depending on the features your business requires. Each plan includes a digital loyalty program that integrates with Apple Passbook and Google Wallet, a customizable iPad for signing up your customers, in-store marketing materials and inclusion in the Belly mobile app where potential customers can discover your business. No matter which plan you choose, Belly assigns a Merchant Success Manager to every merchant to aid in strategy, positioning, & product. Additional features include social media integration and email marketing automation campaigns. 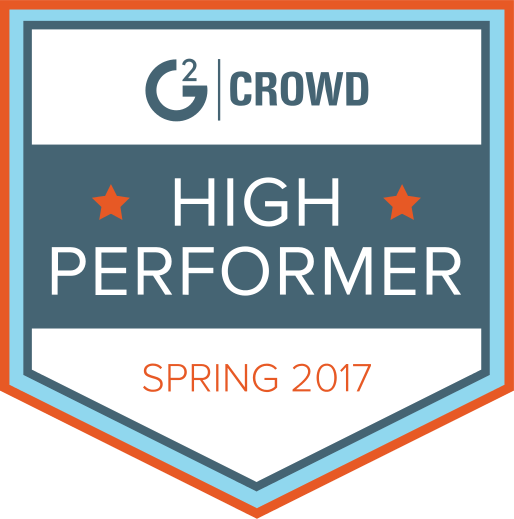 Spring Rewards -Spring Rewards is a powerful loyalty and marketing analytics platform that offers a simple and seamless way for businesses to acquire new customers and better engage with their current ones. The Spring platform connects to the credit and debit cards consumers already use everyday and works on the technology already in place at your stores, requiring no additional hardware, set-up or training. When members swipe their cards, Spring tracks their spend in real-time, enabling you to reach the right customers with relevant messaging and time-sensitive incentives or rewards. Spendgo – Offering personalized customer engagement programs, this tool emphasizes the food and restaurant industry. With Spendgo, you can create campaigns focused on generating new customers, retaining existing customers and winning back lapsed customers with loyalty programs you can use in-store, online or on mobile devices. For example, Jamba Juice uses Spendgo for personalized offers such as free birthday smoothies and discounts based on the accrual of points. OpenTable – This popular restaurant reservation site also offers a dining rewards program. Users receive points for honoring the reservations they make online and can redeem these points for future dining rewards or an Amazon gift card. Using this site for your restaurant reservations can encourage repeat diners who want to take advantage of the rewards program. FiveStars – This app helps you set up a rewards program customized to your business. Your customers can sign up onsite using a tablet device and check in using their phone number on future visits. FiveStars sends your customers rewards messages via email or text based on their preferences including special messages for birthdays and infrequent customers. Front Flip – Front Flip offers a customer engagement platform that combines a rewards program, mobile offers and social media engagement in a single app. Rather than using a punch card approach, Front Flip generates loyalty through a dynamic mobile game. LevelUp – Targeting the restaurant market, LevelUp enables you to offer multiple mobile payment options as well as mobile rewards programs to your customers. When customers pay using the LevelUp app, you can offer them flexible rewards such as repeat visit and birthday incentives. The system comes with detailed customer analytics and demographics. Linkable Networks – Through its Linkable Loyalty program, this service enables your customers to link your offers to their preferred credit or debit card. This eliminates the need for an additional loyalty card or a delay in activating the program and receiving rewards. Linkable Loyalty supports a variety of loyalty incentives including points, cash back, e-gifts and more. Perka – Through its Clover Rewards program, Perka offers both a free and an enhanced, fee-based version of its app for merchants. You can offer your customers incentives for signing up such as a welcome bonus as well as targeted rewards for repeat visits. Punchcard – Punchcard is a loyalty shopping app that’s available for both the iPhone and Android. Punchcard is particularly good for acquiring new customers as it enables merchants to find and communicate with people who are already shopping in their vicinity. ReZoop – As a loyalty program for e-commerce businesses, ReZoop is free for both merchants and customers. It offers customizable rewards, coupons and discounts using a mobile punch card. Customer activity tracking tools are also available. Quomai – This marketing and loyalty platform offers a mobile loyalty card, coupons and offers. You can track the results of your programs and campaigns and also receive valuable customer feedback. Quomai works even if your business doesn’t have a website yet. SpotOn – To get started, you simply collect your customers’ email addresses via a tablet or other mobile device. From there, SpotOn provides personalized marketing (such as birthday offers), online reputation management based on customer feedback and loyalty programs personalized by customer segments. Upserve – This restaurant management tool also includes a robust loyalty program. You can turn one-time customers into regulars by creating custom rewards that encourage repeat visits. Upserve works with a customer’s existing credit card and offers automatic rewards. Key Ring – Key Ring is a shopping app that offers customized marketing and loyalty programs for merchants. Through Key Ring you can create campaigns with customizable calls to action, automate geo-targeting, send offers and promotions, notify customers of their points and rewards balances and measure your results. Foursquare – When you claim your business on Foursquare, you can offer incentives including discounts, freebie or upgrades. With Foursquare, you can reward both existing customers as well as new customers searching the app for local business offerings. To redeem, customers simply need to show the offer on their phone. Pirq – A paperless loyalty program that uses a digital punch card, Pirq enables you to track and reward loyal customers with a variety of offers and incentives. Pirq also includes detailed analytics and offers a free 30-day trial. flok – flok is a mobile marketing solution that emphasizes increased customer loyalty. Options include customized punch cards, push campaigns that offer customer rewards and incentives, social engagement, customer chat and feedback and new customer acquisition tools. Detailed analytics are also available. Loyalzoo – A simple loyalty solution for small business, Loyalzoo makes it easy to a launch an in-store loyalty program for your customers. The merchant app runs on a tablet, smartphone or point-of-sales terminal and offers detailed customer analytics. Your customers can check in via an app and receive rewards and offers via email, SMS or push notifications. LoyalTap – LoyalTap offers community-based loyalty programs for small businesses. Although it provides rewards similar to other loyalty programs, this solution focuses on creating loyalty among a group of businesses — not a single business. For example, LoyalTap has created community loyalty programs for downtown associations, malls and even an airport.This list offers some of our top picks for loyalty rewards programs, but feel free to provide your own suggestions in the comments below. Does your business use a loyalty or rewards program? Let us know! If you update this list; would you consider adding qrloyalty.cards? The application is very feature rich; and free for both customers and businesses.